3x Color Champ & Judges Choice!! A very handsome Snowmass Best Man son! 2013 Futurity Reserve Color Champion. Gorgeous, gorgeous, production-style fleece on this male. Silky feel, extremely uniform with very little (if any) guard hair. Passes mega-brightness and silky handle to cria. What's not to love?!?!?!! October 18, 2018: Cherish delivered a beautiful little female today by Majestics Man Among Men! Textbook birth; cria was up and nursing within 30 minutes. She appears to be either beige or perhaps light light fawn. Stay tuned for pictures! $7,500 Super BRIGHT and Fine!!! 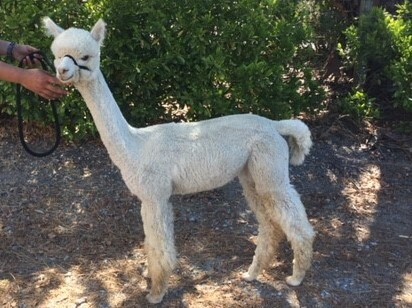 March 2019: California Classic - ROCKSTAR's Afternoon Delight takes 1st place in her walking fleece class and went on to win the White Walking Fleece Reserve Color Championship. So proud of this girl and her gorgeous fleece. 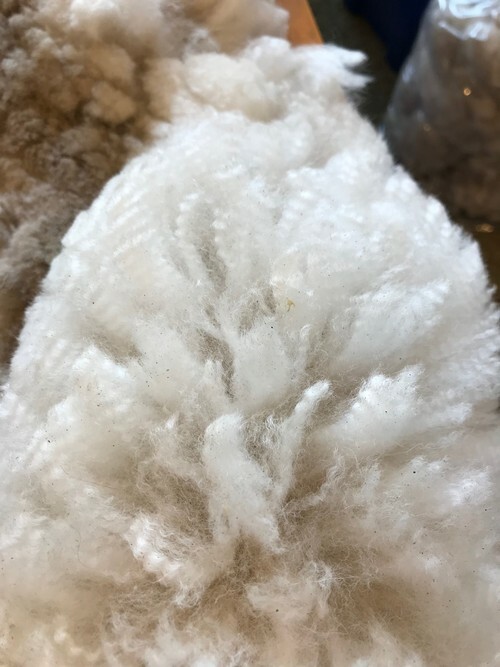 Summer's fleece continues to NOT disappoint! 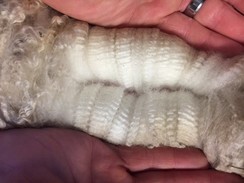 October 2018: ROCKSTAR's Afternoon Delight takes 1st Place and wins the White Walking Fleece Color Championship at the 2018 Gold Country Gathering. 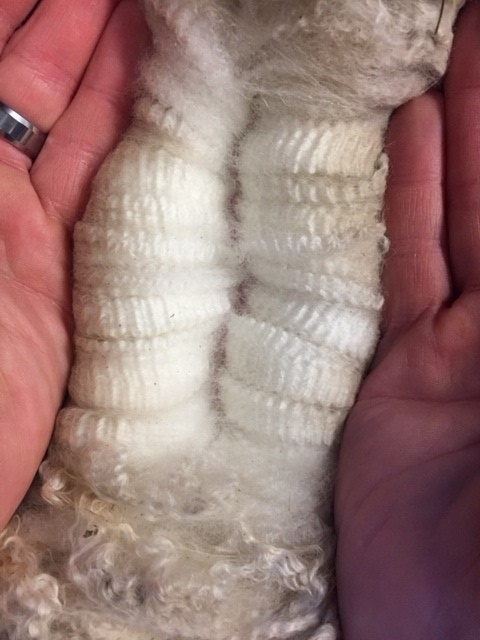 Judge Sarah Jane Maclennan loved Summer's fine and soft handling fleece remarking how lovely her handle was, the extreme brightness and uniformity of micron made her the clear class winner and Champion! ROCKSTAR's Afternoon Delight (nickname: Summer) is the beautiful daughter of ROCKSTAR's Cherish and Snowmass Seventh Samurai. 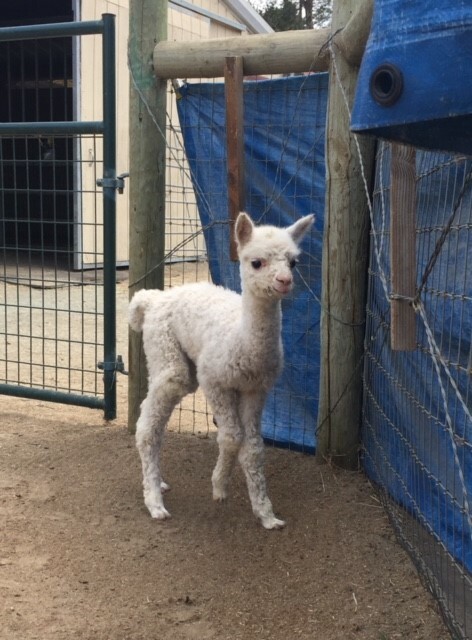 She was born on a beautiful summer day and is undoubtedly one of our sweetest, most beautiful cria from 2017. We had hoped the combination of Cherish x Samurai would deliver and it absolutely did. Summer's fleece does not disappoint. It is big time BRIGHT, very fine, with lots of silky long staples throughout. These bundles are densely packed onto Summer's very upright square fame. She has very nice substance of bone and a perfect bite. Add her sweet temperament and you have a ROCKSTAR!